Marilyn Freeman was called to the English Bar (Middle Temple) in 1986 after completing an LL.M at Kings College, London. She then spent some time teaching Law, raising a family, and in practice at the Bar. She joined London Metropolitan University (previously City of London Polytechnic and London Guildhall University) in 1992 as Senior Family Law Lecturer, after which she was appointed firstly as Reader in Child and Family Law, and subsequently as Professor of Family Law. During this time, in addition to holding a specialist door tenancy at chambers for many years, Marilyn concentrated her research efforts and practical work in the areas of international child abduction and international children issues, gaining her doctorate in international child abduction, and is widely acknowledged as a leading expert in these areas in which she remains actively involved. Marilyn publishes widely and is regularly invited to address both national and international conferences on her work. She has undertaken several ground-breaking research projects, some supported by government departments (Foreign and Commonwealth Office, Ministry of Justice), including research into the effects of both international child abduction and relocation, and is currently involved in further research in these areas, as well as in the issues relating to forced marriage. Although much of her work concerns international matters, Marilyn is also actively involved in domestic Family Law issues, including those relating to divorce, parental responsibility, residence and contact. This long-term involvement with Family Law matters and their outcomes has resulted in Marilyn’s enduring concern for those who are affected by them, both in relation to the relevant law and practice which govern the disputes which arise in their cases, and the most helpful ways for resolving these complicated and testing family situations. It is this commitment which has led to Marilyn qualifying as a Family Mediator able to undertake direct consultations with children. 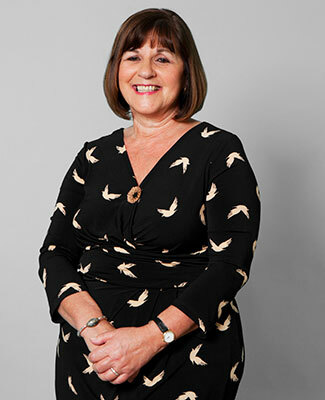 Marilyn is Co-Director of The International Centre for Family Law, Policy and Practice (ICFLPP) which she established in 2009 in recognition of the need for all those connected to family law issues to work together in order to properly serve those who are involved in these cases. The concept has been well received, as evidenced in the success of the multi-disciplinary international conferences which she organised in 2010 on the linked themes of International Child Abduction, Forced Marriage and Relocation, and in 2013 on the topics of Parentage, Equality and Gender. Baroness Hale of Richmond, a former academic and a member of the Supreme Court with a keen interest in the developments in Family Law, is the very active Patron for the ICFLPP and is often involved in its activities. The ICFLPP’s on-line, peer-reviewed journal continues the aim of bringing together the academic and practical sides of Family Law, and has an editorial board which includes key academics, lawyers, and judges.